The sports clothing company stands out for putting a price on the natural capital it impacts and depends on. The German sports apparel maker Puma has won wide acclaim over the past two years for a pioneering accounting system that puts a dollars-and-cents value on the environmental impact of its operations. 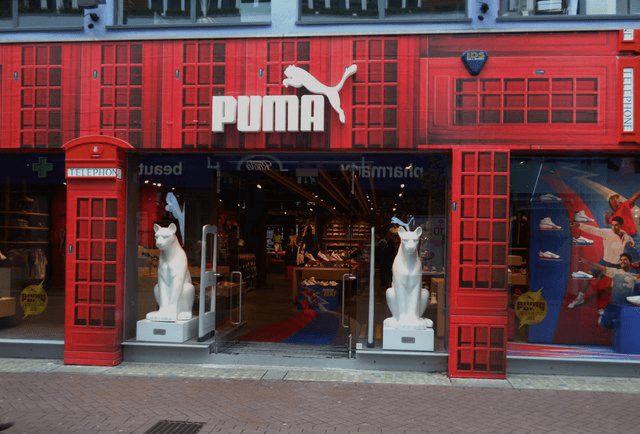 Yet for all the kudos showered on Puma, few – if any – other global companies have so far followed its lead. Jochen Zeitz, a director of PPR, Puma’s parent, asserted in an interview with Corporate Knights that “I only get positive remarks…. It’s been overwhelmingly positive.” Zeitz was a driving force behind the environmental profit and loss account – known as EP&L – during 18 years as Puma’s CEO. But Richard Tipper, chief executive of Ecometrica, a London-based consultancy, noted that many chief financial officers would “hold up their hands in horror” at the thought of an accounting system that adds a sizable liability to their balance sheets. It’s a view that would undoubtedly be shared by their boards of directors, Tipper added. Such hesitancy raises questions about the quest for a wider natural capital accounting system. Is Puma’s EP&L merely ahead of its time, raising the prospect that others will sooner or later catch up? Or are Zeitz and his colleagues idealists out of touch with the rest of the business world? The EP&L puts a monetary value on Puma’s greenhouse gas emissions, water use, land use, air pollution and waste. It includes the impact of Puma suppliers around the world. The first EP&L estimated a total cost of €145 million in 2010. An updated version is due to be published later this year. Puma has also set a number of targets to shrink its footprint on the environment, including a 25 per cent cut in carbon emissions, waste and water usage; sourcing all paper and packaging supplies from sustainably managed forests, with a minimum 50 per cent recycled content; and phasing out the use of hazardous chemicals by 2020. It has also committed to more sustainable and humane sourcing of leather supplies. Mark Anielski, an Alberta-based consultant who specializes in “well-being” economics, noted that a handful of companies – notably Interface, a Georgia-based maker of commercial carpet tiles – have been even more aggressive than Puma in actually shrinking their ecological footprint. Interface founder Ray Anderson – often described as “America’s greenest CEO” – adopted a “Mission Zero” policy, committing the company to eliminate any negative impact on the environment by 2020. Shortly before his death in August 2011, Anderson estimated that the company was more than halfway towards that goal. But Interface and Puma are exceptions. Zeitz acknowledged other companies’ fear of negative publicity if they disclose the full cost of their environmental impact. Nonetheless, he asserted, some are working quietly behind the scenes to develop environmental accounting systems. As Anielski sees it, business will come under growing pressure to adopt not only EP&Ls but also broader measurements of well-being. Still, he’s confident that momentum will build as big companies adopt an EP&L system, after which the approach will be simplified and standardized so it can be more easily adopted by small businesses.